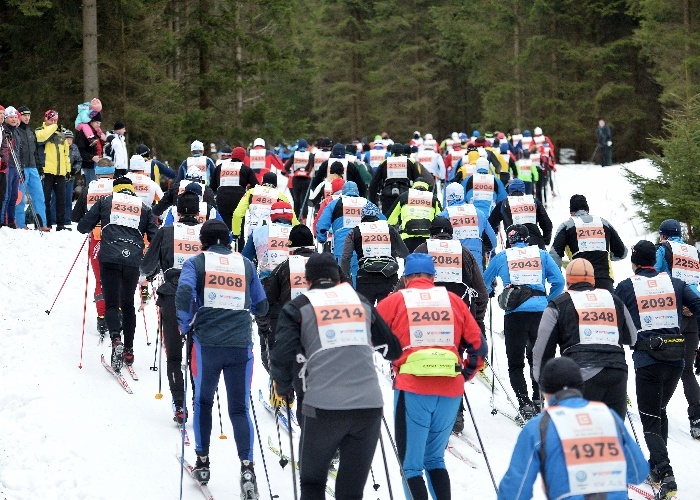 For the 53rd Jizerská 50 the organizers have succeeded in collaboration with VZP insurance house in preparing an insurance cover for lack of snow in the Jizera Mountains. If a race cannot be held on an alternate or shortened track, the racers will receive a refund of 70% of the base race entry fee. “In the last few years we tried, due to problems with inclement weather, to negotiate an insurance cover to eliminate the risk of a race being cancelled for lack of snow but the proposals we received could not be accepted because of extremely high insurance premiums. We are happy to have found in VZP a great partner and to have been able to prepare jointly an insurance scheme which with a minimum increase in the entry fee will enable us to pay out up to 70% of the base race entry fee,” said by way of explanation David Douša from the agency RAUL, the marketing partner of the race. If a discount on the entry fee is granted, the insurance payout will be reduced proportionately. The insurance does not apply to children’s races, company relay races and sprint competitions. Thank you for your interest in 53rd Jizerska 50. We are looking forward to your visit and we are sure you will enjoy it. Just before you get on the way, we would like to inform you about some important facts. For example: Did you know that Medical Insurance is compulsory to successfully apply for visa into Czech Republic? Basic Foreigners’ Medical Insurance, provided by Jizerska 50 main partner Pojistovna VZP, includes the reimbursement of costs of necessary and urgent treatment and hospitalization in all healthcare facilities within the Czech Republic within the necessary scope. covers the Czech Republic, countries of the so-called Schengen area and transit countries. Basic medical insurance can be taken out online here.